Serta has been a pioneer in comfort since we introduced our very first Perfect Sleeper® mattress to the world in 1931. 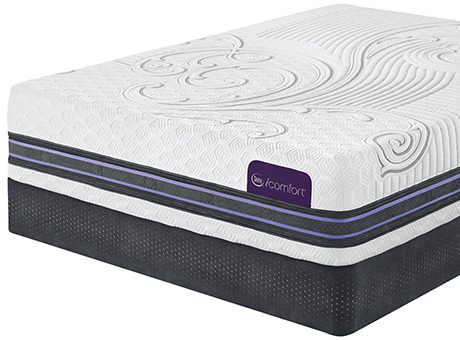 Since then we have brought many “firsts” to the industry, including our breakthrough iComfort® Sleep System featuring our latest in gel memory foam technology. Today, we are proud to be the #1 mattress manufacturer in the United States and a leading brand across the globe. We share this achievement with our dedicated retail partners and remain committed to helping them grow with the most innovative products and advertising programs. Every Serta mattress is designed to provide exceptional comfort. Our product portfolio spans every price point and mattress construction, so that everyone can find the sleep comfort they deserve. All-new Serta Mattresses for 2016 now with EverFeel® Triple Effects™ Gel Memory Foam, Intelligently responds to your body’s individual needs,Now offering both memory foam and hybrid mattresses, Compatible with all Adjustable Foundations.